Irmo High School: Doctor Bohnam is very proud of his roots in the Midlands. He firmly believes in helping Midlands residents feel better. 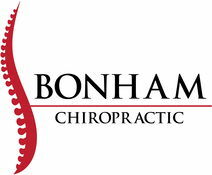 Biofreeze: A very effective topical pain reliever that is highly recommended by Bonham Chiropractic. Apollo Laser Light Treatment by Pivotal Health Solutions: We have been using low-level laser light treatment to help patients. It has helped our patients improve healing time, experience pain reduction, increased circulation and decreased swelling to injured areas. Conditions that can be helped by laser treatment include tennis elbow, nerve pain bursitis, jaw pain/TMJ, RSD (CRPS), peripheral neuropathy, whiplash, headaches and migraines, herniated disc, arthritis, tendinitis, sprains/strains, back and neck pain, carpal tunnel syndrome, plantar fasciitis, and many skin problems. Advanced Decompression Therapy: We have been using decompression therapy to help our patients with low back, neck, radiating leg and arm pain, and headaches. We work with CareCredit to help our patients finance treatment so that they can get relief today.